While not a rare bird in British Columbia's northern forests, it is quite rare to see this visitor in the Vancouver area. When they are seen is in the fall migration where we might see one bird or so a year. As it turns out, this pale-eyed bird dropped by Piper Spit on Burnaby Lake a couple of days ago and to top it off there was a second bird at the same location. A two for one. 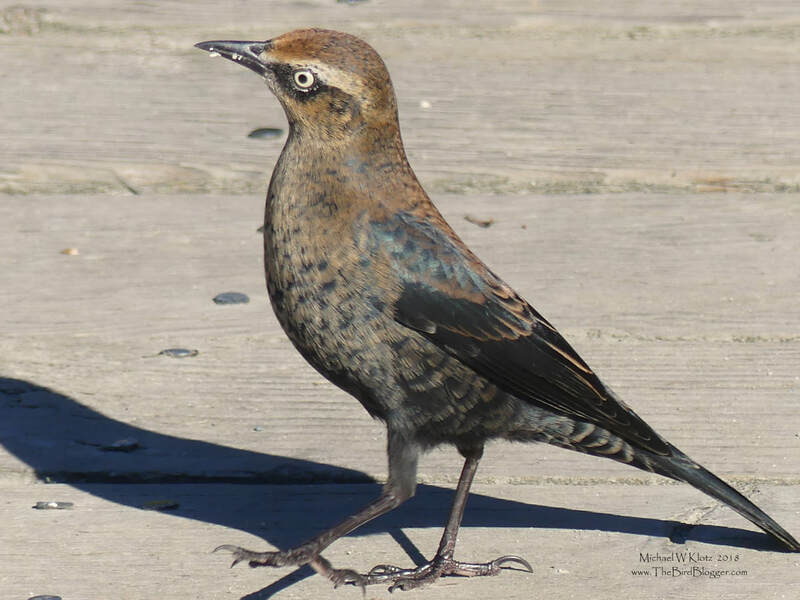 Rusty blackbirds are told apart from the other blackbirds easily by the eye color, but in the breeding season, the males are all black which resembles the Brewer's Blackbird. The Brewer's is however smaller and the beak more conical as well as having a purple sheen on the head and chest not seen in the Rusty.